The Maca extract can endocrine regulation against menopausal symptoms. 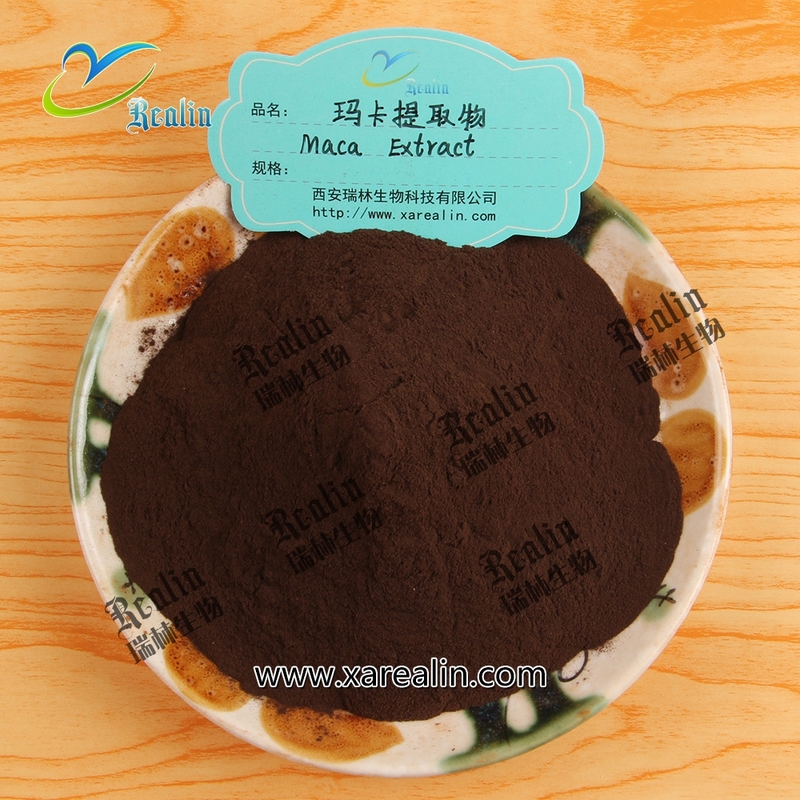 Maca extract have a variety of alkaloids can regulate adrenal gland, pancreas, ovary and other functions, balance the body's hormone levels, rich in taurine, conditioning and rehabilitation of protein and other physiological functions can improve the blood andrelieve menopausal symptoms, and has Anti-anemia, enhanced immune function. 1. Long used to enhance energy and boost stamina, maca is often touted as an aphrodisiac and a natural means of improving sexual performance and fertility. 2. Maca root extract has been used for improving sexual performance, to help women with menstrual pain and irregularities and conditions such as menopause. Maca root extract has been used for improving sexual performance, to help women with menstrual pain and irregularities and conditions such as menopause.Long used to enhance energy and boost stamina, maca is often touted as an aphrodisiac and a natural means of improving sexual performance and fertility.